Tasty Bake is a British food manufacturing company engaged in the production of baked goods, chicken nuggets, sausages and juices. The company’s main headquarters is in West Midlands, UK. Tasty Bake was established in 1981. The company’s first facility was a 2,000-square foot sausage factory located in Erdington, Birmingham. The company was initially engaged in producing and selling food products to fish and chip shops, restaurants, and fast food chains in the Midlands. The company created its products using traditional recipes, coupled with a commitment to using only the finest ingredients available. Soon, Tasty Bake saveloys and sausages were becoming favorites in the company’s growing base of customers. In 1988, Tasty Bake relocated to a new facility in the area of Garretts Green in Birmingham. The company felt a need to relocate because of the increasing demand for its products. The company’s new facility was bigger, with an area of 10,000 square feet. It was also in this same period that the company started using a “Spiral Freezer Technology” for its products. This new technology aided significantly in helping the company advance in its production of sausages (IQF). In 1993, the company again relocated to a much bigger facility in Birmingham, with an area of 25,000 square feet. This relocation saw another upgrade in technology, making use of the “leading edge technology” in its equipment. In the same period, the company was given accreditation for ISO 9001, ‘EFSIS’ and I.A.B. In 1994, Tasty Bake started importing exotic species of fish from different parts of the world and distributing these products to the fish markets and towns in the UK. In 2003, the company bought and developed a site in the area of Aston, Birmingham that had a 10,000-square foot cold storage area, as well as facilities for fish processing. This Aston site also had 2000 square feet of offices, and a 10,000-square foot lorry. 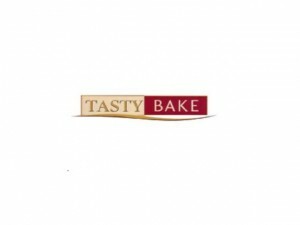 Because the company’s international activities were continuing to expand, Tasty Bake decided to incorporate an Export Sales Department. This particular division offered products like beef burgers, spring rolls, sauces, and chicken portions. The products were marketed all over Europe. In 2010, Tasty Bake decided to diversify its product range to include the addition of two products: chicken nuggets and fruit juices (fresh). These products are produced and imported from its facility in Cyprus. Another range of the company’s juices, which are marketed under the Enerjus brand, are produced and imported from the company’s facility in Spain.